The gigantic, long-necked sauropods are an iconic group of dinosaurs—and it seems scientists have just discovered a new one. 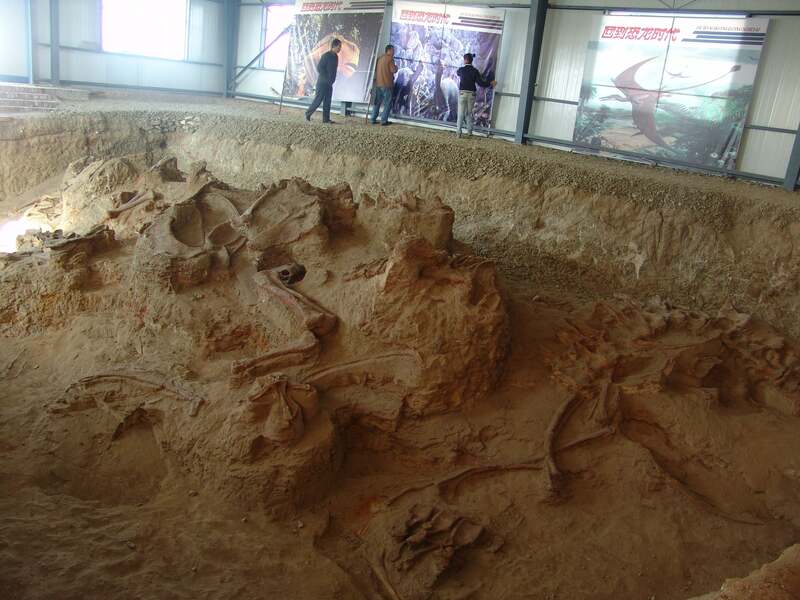 Palaeontologists were able to define the new species, known as Lingwulong shenqi, using seven to 10 partial skeletons from four separate dig sites in China. Lingwulong belonged to the diplodocid family, the researchers write in their paper published Tuesday in Nature Communications. Specifically, it seems to be a dicraeosaurid, a small clade of sauropod dinosaurs with slightly shorter necks and a series of sharp spines protruding from their vertebrae. The new fossils date back to 174 million years ago, making Lingwulong the earliest known neosauropod (a big group of dinosaurs that includes the titanosaur, diplodocus, brachiosaurus, and others). The existence of a neosauropod like Lingwulong way back before Pangaea fully split apart challenges existing theories of when and how many dinosaur species evolved. Research has previously shown that neosauropods thrived from between 163 million and 145 million years ago, in the Late Jurassic period. But Lingwulong fossils date back to 174 million years ago, suggesting neosauropods were roaming Pangea much earlier, in the Middle Jurassic. “The discovery of Lingwulong pushes back the origination times of many of the groups of sauropod dinosaurs that we think of as most iconic, and challenges many conventional ideas about the early biogeographical history of dinosaurs,” Philip Mannion, a study author and palaeontologist at Imperial College London, told Gizmodo. John Whitlock, a paleontologist at Mount Aloysius College who wasn’t involved with the new work, said he’s sceptical that Lingwulong is truly a diplodocid. He told Gizmodo it’s possible that the dinosaur is more related to Middle Jurassic sauropods from China called Mamenchisaurus or Omeisaurus, thanks to similarities in their skulls and vertebrae. It is still possibly a diplodocid, he said, because it’s so old and primitive that it may just not have evolved what we think of as a typical diplodocid skull yet. And though it’s often difficult to guess what a dinosaur looked like or how it behaved based on a fossil, Mannion had some ideas.